Sunshine Mackenzie is a food network star. She has a #1 best selling cookbook, millions of fans, and a thriving career. The only problem is, her life is a lie. She has too many secrets and one day a hacker begins to reveal them all online. One by one. In an instant, her career and her marriage are over. She forced to reconcile with her estranged sister and start over. Hello Sunshine is unlike anything I've ready lately. A delightful book to read. I've been in mystery mode all summer long. It was so good to take a break! From Laura Dave—the author of the “addictive” (Us Weekly), “winning” (Publishers Weekly) and critically acclaimed bestseller Eight Hundred Grapes—comes a new novel about the secrets we keep…even from ourselves. 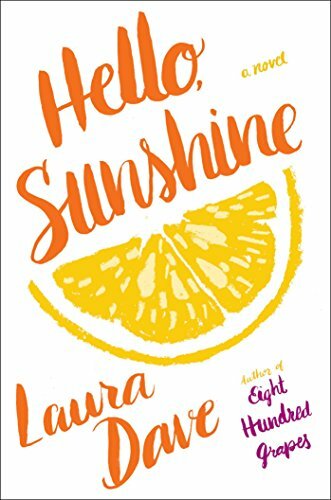 In a world where celebrity is a careful construct, Hello, Sunshine is a compelling, funny, and evocative novel about what it means to live an authentic life in an inauthentic age.